Loved the exhibit and the museum! There is something thrilling about approaching a piece of paper bigger than oneself. 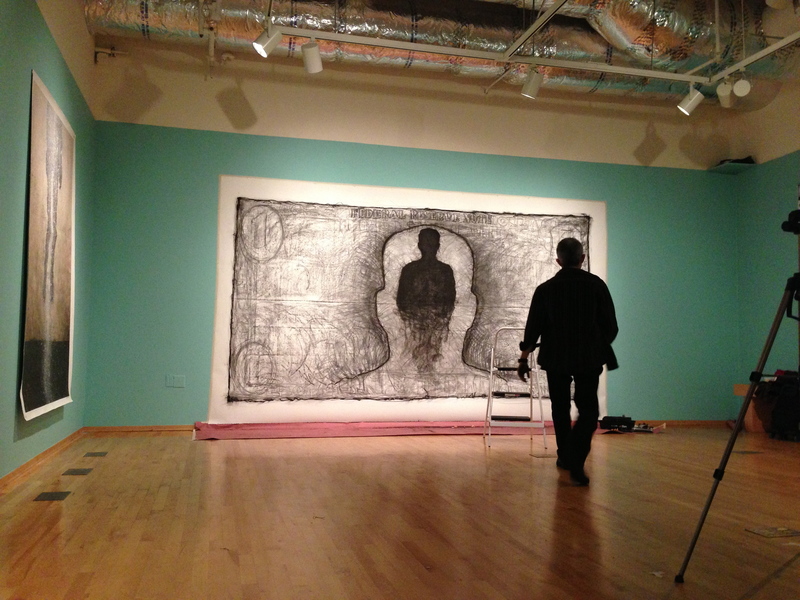 For the last few years I have challenged myself by making charcoal drawings in the style of an art performance. I approach the drawing process with a slight idea of what I want and then let the moment and the place dictate the final outcome. I have done this with live audiences as well and I enjoy the thrill of finishing with something meaningful at the end.